The cosy rooms and comfortable apartments on our farm in the environs of Seiser Alm offer a quiet position, a hearty atmosphere and a delicious farmer’s breakfast. 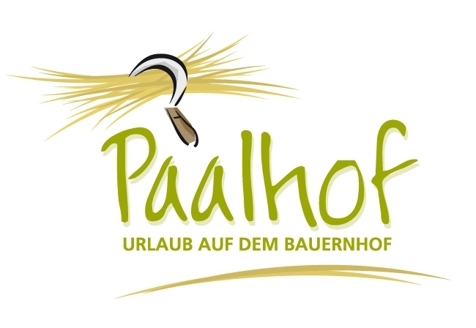 Welcome to Paalhof in Tisens near Kastelruth! Our farm is situated in the picturesque village of Tisens near Kastelruth, in the famous holiday destination of Seiser Alm. Paalhof farm is set in the middle of nature, in a sunny and quiet position. 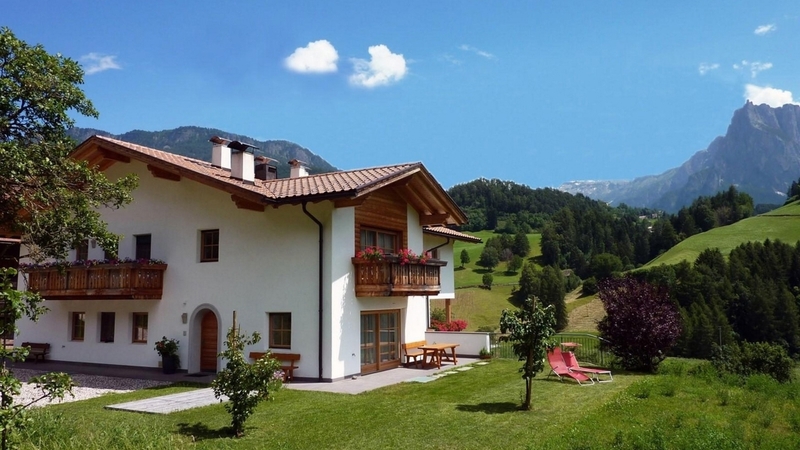 The newly built house also offers a dreamlike panoramic view over Seiser Alm pasture, Schlern massif and Kastelruth. Our guests are offered light-flooded rooms and spacious, comfortable apartments, which are elegant with any comfort. During the furnishing process, we attributed high importance to quality and sustainable materials. The wooden floors and furnishings were realised by South Tyrolean artisans on site. The apartments offer a fully equipped kitchen with dishwasher, a separate bedroom, balcony or direct access to the garden as well as a bathroom with shower, bidet, WC and hairdryer (on request). We also offer a daily bread, milk and egg service. The delicious breakfast with homemade jams, cakes, milk and eggs produced on the farm is served in our comfortable “Stube” (available also for apartment guests). Outdoors, you will find a garden with sunbathing lawn and sunbeds. Our small guests will love our family animals and our small playground with swings and slide. Paalhof farm in Tisens is a good starting point for hikes, bike tours and for visiting the cities ad sights in South Tyrol. In winter, you can enjoy the slopes of Gröden and Seiser Alm (within 5 minutes by car). A free shuttle brings you from the farm to the lift facilities and back. With “Seiser Alm Live Card” all means of public transport are free. We give high importance to individual service and mountains are our passion as well. We are pleased to give you tips and to join your adventures from time to time. Double room with seating corner, couch, TV, refrigerator, wooden floor and furniture made of solid wood. Bathroom with window, shower, WC, bidet and heated floor. Direct access to the garden with panoramic view. Free WIFI. No pets allowed. 50 m². Wooden floor and furniture made of solid wood. Fully equipped kitchen with dishwasher. 1 quiet bedroom. 1 bathroom with window, shower, WC, bidet and heated floor. Spacious living room with comfortable sleeper couch and 32' TV sat. Balcony towards South with panoramic view. Free WIFI. No pets allowed. 50 m². Wooden floor and furniture made of solid wood. Fully equipped kitchen with dishwasher. 1 quiet bedroom. 1 bathroom with shower, WC, bidet and heated floor. Spacious living room with comfortable sleeper couch and TV sat. Balcony towards South with panoramic view. Free WIFI. No pets allowed. Double room with seating corner, TV, balcony, wooden floor and furniture made of solid wood. Bathroom with window, shower, WC, bidet and heated floor. Free WIFI. No pets allowed. 85 m². Wooden floor and furniture made of solid wood. Fully equipped kitchen with dishwasher. 2 quiet bedrooms. 2 bathrooms with shower, WC, bidet and heated floor. Spacious living room with comfortable sleeper couch and sat TV. Second TV in the second bedroom. 2 balconies, one of them towards South with panoramic view. Free WIFI. No pets allowed. Please notice: The second room is located outside the apartment, but on the same floor and directly next door. This combination is very popular with families with older children or couples of friends. 50 m². Wooden floor and furniture made of solid wood. Fully equipped kitchen with dishwasher. 1 quiet bedroom. 1 bathroom with shower, WC, bidet and heated floor. Spacious living-kitchen area room with dining table, couch and TV sat. Terrace towards South and West with panoramic view and direct access to the garden. Free WIFI. No pets allowed. “Active and healthy in spring” is the order of the day in South Tyrol.